Carolina Kettle is a brand of locally made kettle cooked potato chips right here in Raleigh, NC. Carolina Kettle is the first product from the Snack Food Company 1 In 6 Snacks. 1 in 6 people in the United States do not know where their next meal will come from. Naturally Crispy and Certified Awesome, these chips are helping end hunger one bag at a time. For each bag sold, 1 In 6 Snacks donates 5 cents to your local Food Bank. 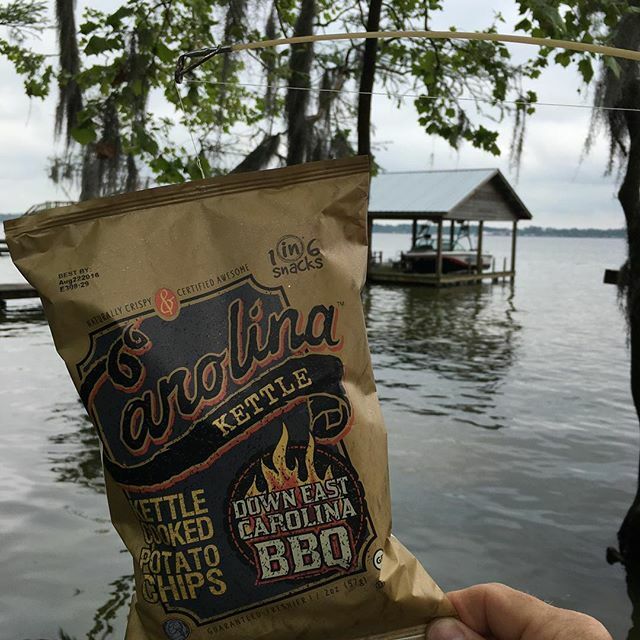 We love that these chips are hand-cooked from locally Carolina sourced potatoes, producing 100% Carolina Flavor. There are six unique flavors you have to get your hands on. Bee Sting Honey Sriracha, Southern Twang Salt & Vinegar, The "Mama Gin" Dill Pickle, Down East Carolina BBQ, Outer Banks Sea Salt, and Cozumel Jalapeño Queso. What are you waiting for? Rip into hunger and get your lips on these chips! Check them out on Facebook, Instagram and their Website!